Your commute can be a large component of your daily stress load. It doesn’t need to be. 1. Shorten your Drive – Use a traffic and navigation application such as WAZE to improve your daily commute. These apps share real-time information and will help you save time, gas and energy while commuting. 2. Plan Ahead– For a smoother morning, prepare the night before and give yourself some flex time for the unexpected. Create a positive morning routine to keep you focused before you walk out the door. 3. Breathe! – While you are driving, or any time for that matter, if you feel yourself becoming stressed, take a deep breath. Take a few of them. This will calm your nerves and reduce the stress on your mind and body. 4. Learn – Use your commute to learn a new language, listen to personal development resources or audio books. Not only will you be learning and growing as a person, you will also find you begin to look forward to the commute time instead of dreading it. Your commute will be a twice a day opportunity to make yourself better. 5. Build Relationships – As long as your car is set up for Bluetooth and you are not violating any laws, commute time is a great time to stay in touch with family, friends or business relationships. Take the time to learn all of the features of your system so that you can utilize the technology in a safe and efficient way. Never compromise safety and pay attention to your driving while you connect to the important people in your life. 6. Support your Spine – Sitting can put a lot of stress on your spine. 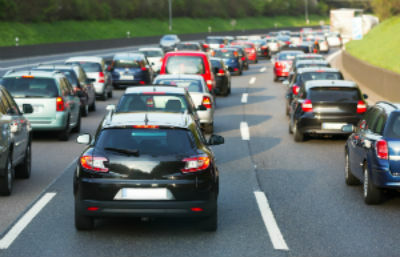 Long commutes can cause spinal problems and aggravate existing ones. Use the lumbar support that is built into your car seat or get a portable one that you can use in your car or take with you to work. Make an appointment for a chiropractic examination and check the alignment of your spine to ensure that your nerves are functioning properly. You will be amazed at the difference chiropractic care can make in your life. Starting today, Stress Less and Live More. on your commute and always. See you at your next appointment! Visit our YouTube Channel to watch more great videos from Plasker Chiropractic. And if you’re interested in learning more about the 100 Year Lifestyle, visit the 100 Year Lifestyle channel on YouTube.